An exciting four day electronics & IT event where visitors immersed in the region’s most cutting edge technology and the best technology offers in town. 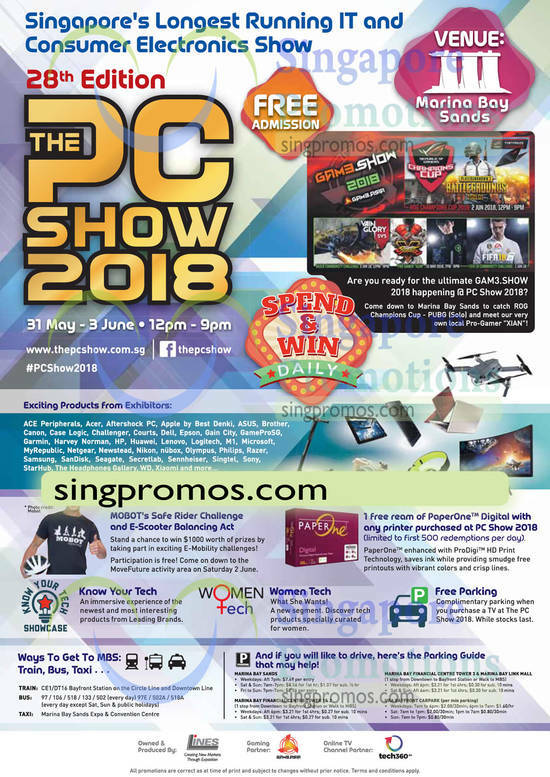 The PC Show 2018, the highly successful tech event that encompasses the latest in Consumer Electronics, IT, Laptops, Tablets, Smartphones, Cameras, Printers, Gaming, TV and the newest Gadgets. 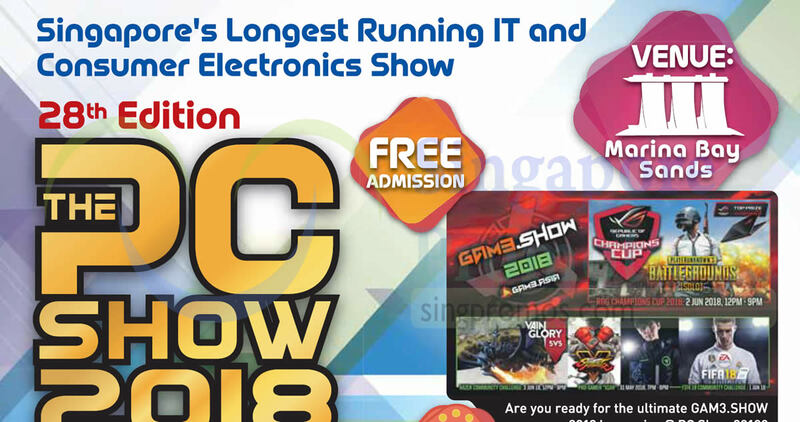 Leading exhibitors featured at The PC Show 2018 include: ACE Peripherals, Acer, Aftershock PC, Apple by Best Denki, ASUS, Belkin, BlackVue, Brother, Canon, Case Logic, Challenger, Courts, Dell, Epson, Gain City, GameProSG, Garmin, Google, GoPro, Harvey Norman, HP, Huawei, Jabra, Lenovo, Logitech, M1, Marbella, Microsoft, MSI, MyRepublic, Netgear, Newstead, Nikon, nübox, Olympus, Omnidesk, Philips, Plantronics, Prism+, Razer, Samsung, SanDisk, Seagate, Secretlab, Sennheiser, Singtel, Sonos, Sony, StarHub, The Headphones Gallery, TP-Link, WD, Xiaomi and more.